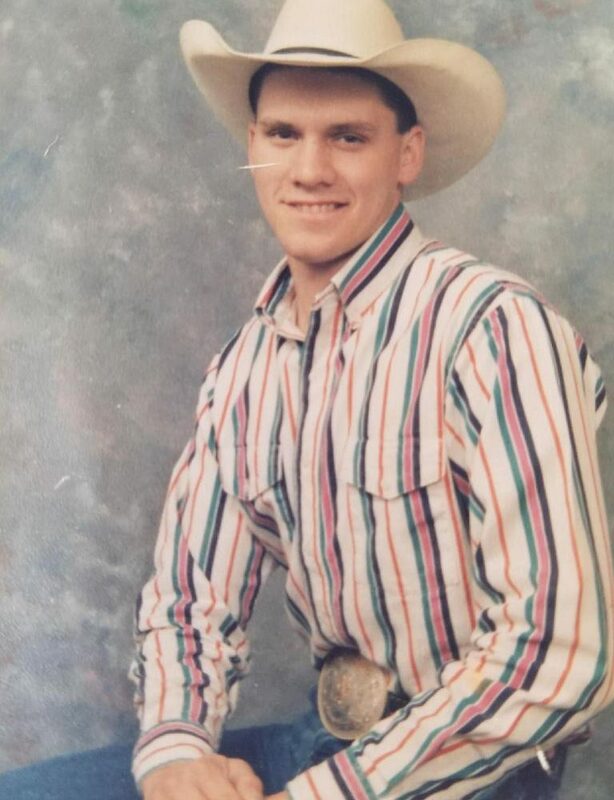 Cody Wyman Hoagland, 46, of Lewiston, went to be with the Lord on Tuesday, Aug. 7, 2018, at his home in Lewiston. He was born Dec. 14, 1971, in Lewiston, to Don Hoagland Jr. and Sharon Moffett. He was a talented and competitive cowboy in rough stock and timed events. He had won numerous trophies, including saddles, buckles and titles. He competed in the Northwest Junior Rodeo Association, Washington State High School Rodeo Association, and at amateur and professional levels o…f rodeo. Cody worked in various areas of construction and ranching in Washington and Idaho. He is survived by his mother, Sharon Moffett of Lewiston; brothers Carson (Danette) Hoagland of White Swan, Wash., Todd (Sharon) Morris of Kamiah, and Lona (Rick) Travis of Riggins; children Tyler Hoagland of Graham, Wash., and Shelby and Carley Hoagland of Montana; and numerous nieces and nephews and extended family. Cody was preceded in death by his father, Don Jr.; grandparents Don Sr. and Myrtle Hoagland, Margaret and Ralph Magnuson and Mr. and Mrs. Richard Moffett. Cody’s humor, personality and beautiful singing voice will be greatly missed by all who knew him. A memorial service will be held at 10 a.m. Monday at First Indian Presbyterian Church, 4335 Church Canyon Road, Kamiah.